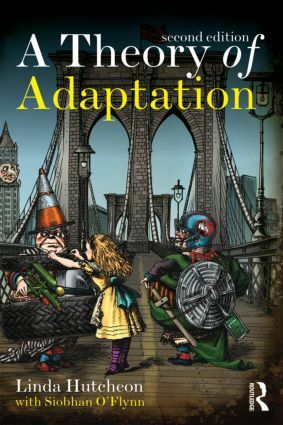 A Theory of Adaptation explores the continuous development of creative adaptation, and argues that the practice of adapting is central to the story-telling imagination. Linda Hutcheon develops a theory of adaptation through a range of media, from film and opera, to video games, pop music and theme parks, analysing the breadth, scope and creative possibilities within each. This new edition is supplemented by a new preface from the author, discussing both new adaptive forms/platforms and recent critical developments in the study of adaptation. It also features an illuminating new epilogue from Siobhan O’Flynn, focusing on adaptation in the context of digital media. She considers the impact of transmedia practices and properties on the form and practice of adaptation, as well as studying the extension of game narrative across media platforms, fan-based adaptation (from Twitter and Facebook to home movies), and the adaptation of books to digital formats. A Theory of Adaptation is the ideal guide to this ever evolving field of study and is essential reading for anyone interested in adaptation in the context of literary and media studies. Beginning to Theorize Adaptation: What? Who? Why? How? Where? When?